Are you joining in on the fun and for the cause? October 25-27, 2013 is Riverside Fly and Tackle’s 11th annual Riverside River Daze event. As part of the event there are two sturgeon derbies. The first is on Friday October 25, with the Jeff O’Neill show. You have to listen to the Fox radio station and earn your spot in this one. The second sturgeon derby is on Saturday, October 26. This one you hook yourself up through Riverside Fly and Tackle at 604-944-2479 for $30 a head. Call the shop for details. 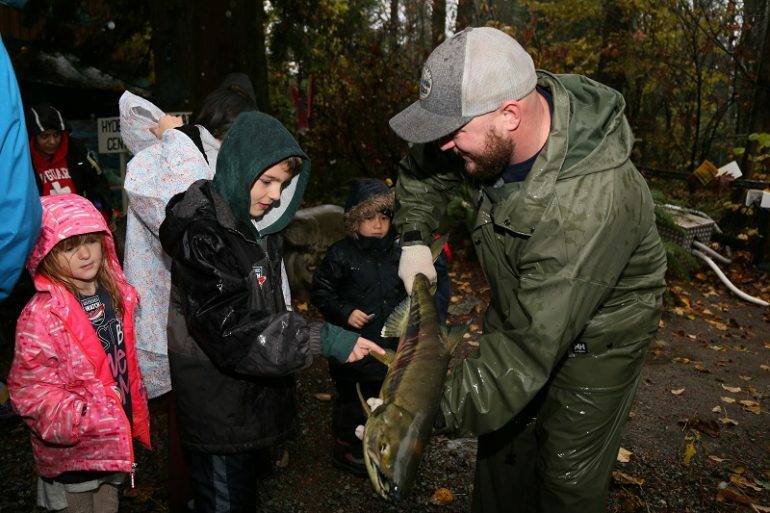 Finally, on the Sunday, beginning at 9am (meet at the shop: Riverside Fly and Tackle in Port Coquitlam) on October 27, you can participate in the Coquitlam River Clean-up. This is such an important part of the weekend’s event and we really hope that many of you will come on out and join us! There are plenty of cash and gear prizes to be won all weekend. See you there.